Amidst all of the reveals and hype yesterday, we somehow let slip past us the fact that Dark Souls 3 was officially announced. Much rumored to be in development, the game got its proper announcement trailer debut and it seems to hint at a return to locations familiar to any fan of the previous Souls games. In the announcement trailer, one of the shots appears to be a now much decayed Anor Londo, followed by a decayed and barren Drangleic Castle. These were the seats of power for the two monarchs of the previous titles and while Dark Souls 2 took place in a different location and time from the events of the first game, there were links between them found throughout the world (usually in item descriptions). Perhaps this third entry will finally bridge the gap and make clear what happened. Some places also appear to be stating that this will be the final entry in the Souls series. 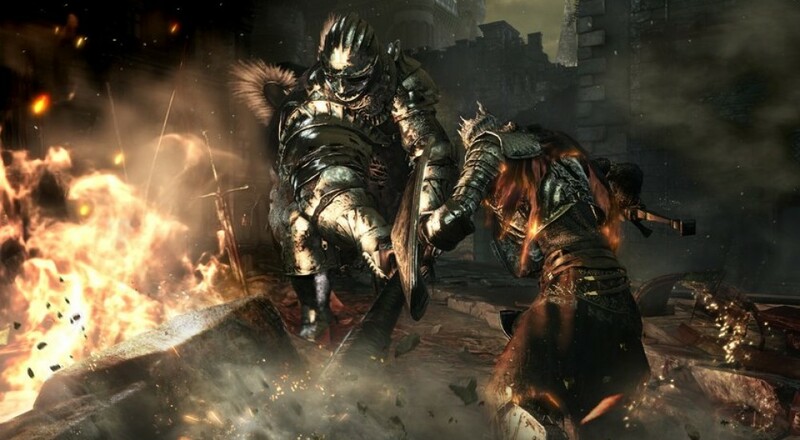 Dark Souls 3 is also being headed by Hidetaka Miyazaki, the director of the first Dark Souls game and the more recent Bloodborne, once more, which should make a certain section of the fan base happy. Not much else in the way of details at this time. We're assuming at this point that it will have three player co-op like all the other titles and that hopefully it has some way of making it easier to connect with friends. It's currently slated for an "early 2016" release on PS4, Xbox One, and PC. Page created in 0.3022 seconds.